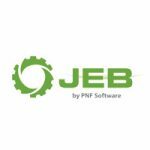 JEB is our reverse-engineering platform to perform disassembly, decompilation, debugging, and analysis of code and document files, manually or as part of an analysis pipeline. Use JEB to perform reverse engineering of malicious APKs and security audits. Cut down on costly reverse engineering time: decompile obfuscated APKs, examine Java code and debug closed-source apps in minutes. Our modular back-end, coupled with a powerful UI front-end for desktop platforms, allow refactoring operation and scripting to automate complex tasks. Perform static and dynamic analysis of Android applications, goodware or badware, small or large. Our in-house decompiler works on true Dalvik code: conversion from Dex to Jar, required by free tools, is not necessary with JEB (see why it matters). Our Dalvik and native code debuggers offer unmatched features to seamlessly analyze real-time apps, allowing examination of code and hooking of sensitive APIs. Our analysis modules support code refactoring, virtual hierarchy to organize highly obfuscated code, or code cleaning (for instance when decrypting obfuscated contents or un-reflecting code). Using Java or Python, users can write their own scripts and plugins to automate the reverse engineering process. Power users can write full-blown analysis modules and headless front-ends. JEB provides bytecode and native (ARM, Intel) debugger modules to allow dynamic analysis of complex apps. Seamlessly debug Dalvik bytecode and native machine code, for all apps: From Dalvik, step inside JNI methods (native routines) and continue debugging native code. Conversely, after a native method has completed, JEB will resume the Dalvik debugging session. JEB allows debugging of all apps, including those that do not explicitly allow debugging (ARM v7 platform only). Use the JEB Debuggers API to automate tasks such as memory examination or routine hooking for data interception. This short demo video showcases the Android debuggers. Analyze malicious Adobe™ PDF files using the best PDF document analyzer in the industry. Our PDF module breaks down and decodes PDF files to provide access to its inner components such as resources and scripts. It detect structure corruptions and issues notifications to report suspicious areas. Leverage the PDF module either through the desktop client or a headless client, such as a file analyzer stack or automation pipeline. Use our PDF analyzer to manually or automatically reverse engineer documents of all sizes. Leverage the JEB API to write custom modules to handle virtually any file type. We do provide training for power‑users that wish to use the API to its full extent. Our community of users also share free open‑source modules, plugins, scripts and tutorials for developers.